NC Supreme Court Recognizes Compensable Right - Ward and Smith, P.A. The power of eminent domain, or "condemnation," is the power of the government and certain regulated public utilities to take private property for public use. Constitutional protections require that such takings be compensated; that is, property cannot be taken from a private owner without compensating the owner for the taking. A June 11, 2015, ruling by the North Carolina Supreme Court in the case of Town of Midland v. Wayne, gives North Carolina property owners, particularly real estate developers, additional compensation rights when property that is part of an approved development project is taken through the power of eminent domain. Town of Midland arose from a subdivision development in Cabarrus County, North Carolina. The subdivision property consisted of three separate tracts totaling approximately 250 acres (collectively referred to as the "Subdivision"). Two of these tracts were owned by a trust ("the Trust") and the third tract was owned by a limited liability company (the "LLC"). A single individual was the prior owner of the two tracts owned by the Trust, the trustee of the Trust, and the controlling owner of the LLC. In 1997, the owners of the Subdivision submitted a customized development plan to the Cabarrus County Planning and Zoning Commission for a multi‑phase, 250 acre residential subdivision known as Park Creek. The plan was approved by the Commission subject to certain requirements. The requirements included minimum lot sizes and dedication of a certain percentage of the Subdivision as open space. The first two phases of the Subdivision proceeded with the installation of water lines and other infrastructure. Additional infrastructure was designed and installed to serve the future phases. By 2009, the first two phases of the Subdivision were substantially complete. Nearly $5,000,000 had been invested by the owners. Most of the lots in these phases had been sold, but the future phases of the Subdivision remained mostly undeveloped. In February 2009, the Town filed two condemnation actions against the Trust, condemning three acres of the Subdivision still owned by the Trust for a right-of-way easement to install and operate a natural gas pipeline and a fiber optic line. Pursuant to the statutes governing condemnation actions, the Town deposited an amount into the court which the Town contended was sufficient compensation for the three acres the Town proposed to take. The Town did not name the LLC as a defendant, presumably because the easement to be taken did not physically cross any portion of the Subdivision owned by the LLC. The Trust filed an answer claiming that the amount the Town offered for the land was insufficient and requesting a trial to establish a higher compensation amount. The LLC sought to intervene in the action arguing that since its undeveloped land was part of the Subdivision as a whole, and since the taking of the easement property could affect the ability to develop the rest of the Subdivision, the LLC could be impacted by the taking of the easement. The trial court refused to allow the LLC to intervene. Reduce the overall value of the remaining undeveloped lots. The Trust's position was that the compensation paid for the taking of the easement should not be based solely upon the diminishment of the value of the property subjected to the easement, but rather upon the diminishment of the value of the entire Subdivision caused by the taking of the easement. The trial court ultimately adopted the Trust's argument and found that the taking of the easement impacted the entire Subdivision. However, the court also concluded, relying on a prior case from the North Carolina Supreme Court, that the Trust could only recover for the diminishment in the value of the property that the Trust owned and that any diminishment in the value of the portion of the Subdivision the LLC owned would have to be determined outside the then-pending action between the Town and the Trust. Before the phase of the trial to determine a damages amount commenced, both the Town and the Trust appealed to the North Carolina Court of Appeals. The Court of Appeals effectively reversed the trial court and rejected the arguments asserted by the Trust. The Court of Appeals found that the easement's impact on the undeveloped areas of the Subdivision not directly subjected to the easement was not as dire or significant as the trial court found; there should little, if any, compensation paid for the diminishment in the value of the parts of the Subdivision not directly subjected to the easement; and that there was no "unity of ownership" between the Trust's property and the LLC's property and, therefore, any impact to the LLC's property should not be considered (thus agreeing with the trial court on this last point). Therefore, the Court of Appeals concluded that any impact the taking of the easement would have on the Trust's ability to develop the Subdivision as contemplated by the 1997 plan had little, if any, part in calculating the compensation to be paid for the easement. 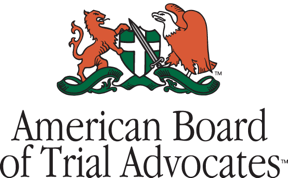 The Trust appealed to the North Carolina Supreme Court. The Supreme Court issued a ruling in the Town of Midland case essentially reversing the Court of Appeals and establishing the measure of compensation due where, as with the taking at issue in that case, the taking is of less than an entire approved development tract. The fair market value of the property taken. Significantly, for its ultimate holding, the Court stated that: "In weighing before and after values, a determination of the property's remaining fair market value considers the property's worth in light of its availability for all valuable uses." Relying on cases that dealt mostly with zoning and land use, including cases in which the government was attempting to revoke already approved development plans, the Court ultimately accepted the majority of the Trust's argument that it had a vested and compensable right to complete the development of the Subdivision – although the Court, in reaching this result, did not adopt the Trust's reasoning on each and every point. The Court cited cases holding that the government cannot stop a landowner from proceeding with an approved use when the landowner has relied on governmental approval to make substantial expenditures of money or to enter into significant contractual obligations. Relying on these cases, the Court concluded that the trial court's findings of fact were sufficient to support the conclusion "that the Town's condemnation action interfered with [the Trust's] vested right to develop the future phases of the [Subdivision] under the 1997 plan." 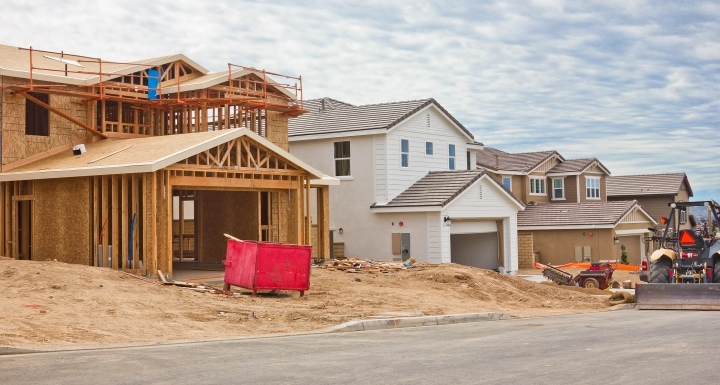 Specifically, the Supreme Court pointed out that the phased development of the Subdivision "is consistent with the inherent nature of residential development." The Court also found it significant that there was a unified nature to the 1997 Plan, pointing out that, as found by the trial court, the Trust had relied upon the approval of the 1997 Plan to make substantial investments to develop the Subdivision. The Court held that the Town's argument that these expenditures were primarily directed at only the first two phases of the Subdivision was flawed since it failed "to recognize the unified nature of the 1997 plan and the benefit of the expenditures to the entire [Subdivision]." The Supreme Court also adopted the Trust's argument that the unity of ownership requirement was satisfied, especially given the vested right to develop the Subdivision pursuant to the 1997 Plan. Therefore, the Court held that it was appropriate for the LLC to intervene in the action because it was also affected by the taking of the easement. In reaching this conclusion, the Court found it significant that the undeveloped tracts of the Subdivision were contiguous, that the undeveloped tracts were all subject to the same vested right (which the Court had just concluded existed) to be developed pursuant to the 1997 Plan, and that a single individual was both trustee of the Trust and owner of a controlling interest in the LLC. However, the Supreme Court also held that the Trust and the LLC's vested right to develop the Subdivision in accordance with the 1997 Plan was not a property interest separate from the real estate to which it attached. Therefore, the negative impact of the easement on the development of the Subdivision pursuant to the 1997 Plan was not a separate item of damages to be compensated. Rather the vested right was a "unique quality of that land which enhances the value." The Supreme Court reasoned that undeveloped land for which a development plan has been approved is significantly more valuable than undeveloped land for which no development plan has yet been approved. The Court further reasoned that the fact the land at issue was subject to a vested right to be developed pursuant to the 1997 Plan "will be a significant factor in determining the value before the taking." Therefore, the Court held that the right to develop the Subdivision pursuant to the approved plan was an interest that could be compensated insofar as it affected the value of the property before the taking. Thus, the impact to the Trust and the LLC's ability to develop the Subdivision pursuant to the 1997 Plan is not a separate damage to be compensated, rather it is a factor that enhances the "before" value of the land and, with such enhancement not being present or as great in calculating the "after" value of the land, the loss of that vested right will be compensated as part of calculating the difference between the before and after value of the Subdivision. For land owners, and particularly developers, the Supreme Court's ruling in Town of Midland makes it clear that once a development plan is approved, it becomes a factor that affects the value of the property subject to the plan and is, as such, compensable in an eminent domain taking. While the loss occasioned by no longer being able to follow the development plan is not a separate element of the damages to be awarded, the fact that the land was worth more before the taking because of the ability to follow the pre‑approved plan is to be considered in the damages calculation. Similarly, under the right circumstances, an owner of property subject to an approved development plan is a proper party in an eminent domain proceeding and can seek compensation for the taking if that party's ability to proceed with the approved plan is impaired, even if that party's land is not directly taken. Similarly, the North Carolina Supreme Court's opinion sounds a warning to North Carolina government agencies and public utilities in regard to the taking of property where such taking will affect an owner's or developer's ability to complete an already approved development plan. The North Carolina Supreme Court's Town of Midland ruling expands the definition of compensable loss recoverable by owners of approved development property subject to eminent domain takings in North Carolina. Should you be subject to an eminent domain taking, you should seek counsel experienced in eminent domain matters immediately so that you understand your rights, including the nature and extent of the compensation to which you are entitled. © 2019 Ward and Smith, P.A. For further information regarding the issues described above, please contact Jason T. Strickland.